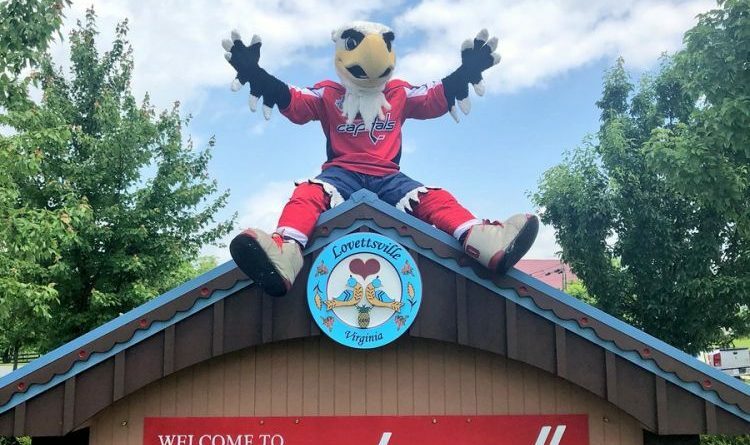 For the hockey fans that still haven’t made it out to the Town of Lovettsville to get a photo with the Capitalsville sign, it’s now or never. The sign will be taken down today, two weeks after the Washington Capitals’ clinched their first Stanley Cup title. Mayor Bob Zoldos said that he’s still seeing visitors taking photos in front of the sign, including a family of five taking an early Christmas card photo. As for a Capitals victory parade, Zoldos said he’s made a formal request with the team in hopes of a few players participating in the town’s July 3 parade. Although he has yet to get a response, Zoldos said there would be a Capitalsville float in the parade no matter what.